Lease Offer. $3,949 due at signing includes $2,995 down, $0 security deposit, $645 acquisition fee and first month's payment of $309, excludes additional options, taxes, title and fees. Thank you for your information. A sales specialist will contact you shortly! We respect your privacy. A sales specialist will contact you shortly! Its compact size and maneuverability make the Transit Connect Cargo Van ideal for working in tight spaces and urban areas. 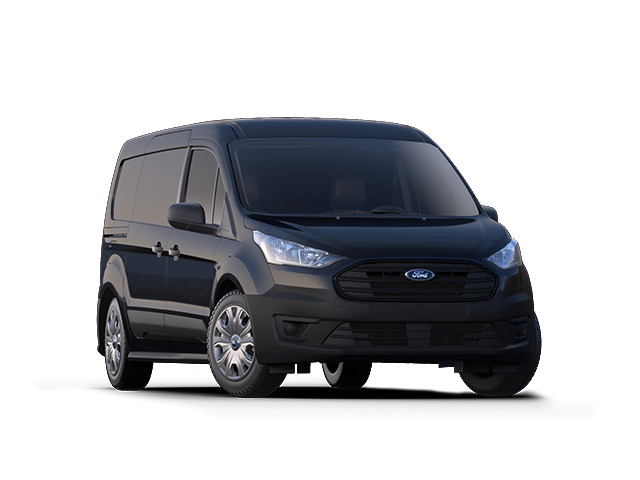 No matter how big your business, Ford Transit Connect Cargo Van is all about working as productively as you can. The 2019 Transit Connect Passenger Wagon has the most flexible seating in its class, with seating for five, six or seven passengers. Configurable to fit your lifestyle, the rear seats can be folded flat. The right features for a more active you. Choosing the Transit Connect is a smart move from the get-go. Its compact dimensions and big capacities are perfect for life on the go. Now factor in the intelligent options available—like the latest SYNC 3 connectivity system, FordPass, MyKey and a rear view camera — and your decision to go with the Transit Connect becomes just that much smarter. For compatible devices, an available wireless inductive phone charger lets you charge your phone just by setting it down. This means no more struggling with ports, plugs or charging cables. With personalized settings for two keys, this available smart technology lets you limit top speed as well as select speed alert chimes. You can also limit the radio volume to 45 percent and set the Belt-Minder to chime, while muting the audio system, until the safety belt is buckled. The standard rear view camera, included with optional audio systems, provides a video image on the center-stack screen of the area behind your vehicle. The camera is activated when you shift into Reverse and back up slowly. The screen has guides to help you align your vehicle with a trailer or assist you with backing up in tight places. Available only to qualified customers through 4/30/2019. MSRP of $26,950. $3,949 due at signing includes $2,995 down, $0 security deposit, $645 acquisition fee and first month's payment of $309, excludes retailer fees, additional options, taxes, title and registration fees. Total monthly payments equal $11,124. Total payments equal $14,764. Actual rates and payments of closed-end lease may vary. Not everyone will qualify. You must take new retail delivery from dealer stock by 4/30/2019. Lessee responsible for insurance, maintenance, excess wear and excess mileage over 36,000 miles at $0.25 /mile. All amounts shown are estimates, retailer sets actual amounts. Includes all applicable offers. Residency restrictions apply. Lessee has option to purchase vehicle at lease end at price negotiated with retailer and approved lender at signing. Termination fee may apply. Contact dealer for availability and for complete details.